ZEN, based in Brazil, has just won two trophies at the 10th edition of the Human Being Prize, awarded yesterday by the ABRH-SC (Brazilian Association of Human Resources - Santa Catarina Section). The company was recognized in the "Development" and "Youth" categories through the "Lean Agent Course" and "Internship Growth Program" cases, with the latter already classified for the national stage of the Award. 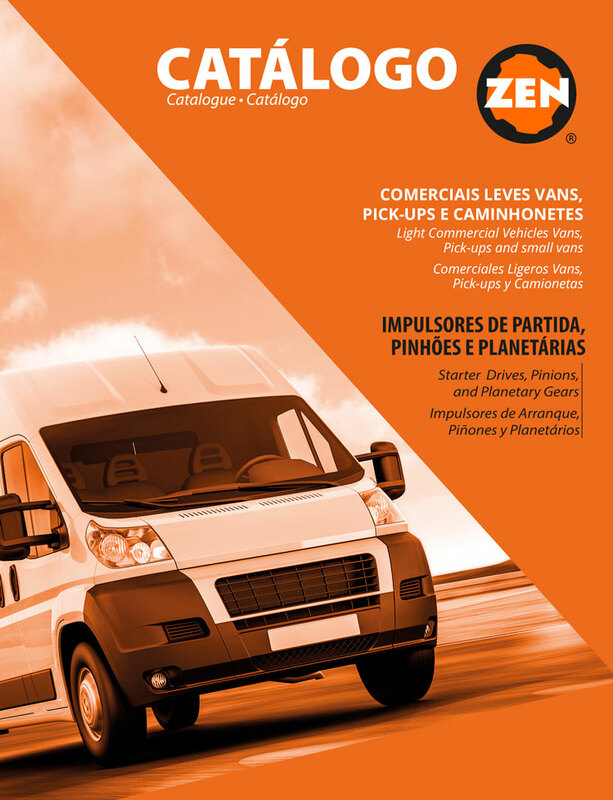 ZEN was also honored for being among the companies that have most presented cases in the history of the event in the state of Santa Catarina, having been awarded eight times in total. The Human Being Prize is one of the biggest recognitions of the Human Resources area in Brazil. "It is very gratifying for ZEN to be among the winners of the Prêmio Ser Humano. This shows once again that the company has good management practices and, with the collaboration of the various sectors, we have been very involved as an institution and as people," says ZEN HR manager Schirlei Knihs Freitas. The Human Being Prize aims to value company initiatives, highlight their professionals and identify new talents, and includes five categories. In its 10th edition in the State of Santa Catarina , 148 studies were registered, 48 of which were awarded. "I believe that one of the most interesting points of the Award is that it offers the exchange of knowledge, as it shares the cases between the companies," states Schirlei. All companies that achieve the stipulated score are awarded, but the ones in first place are automatically classified for the Human Being Prize Oswaldo Checchia, which is the national edition. 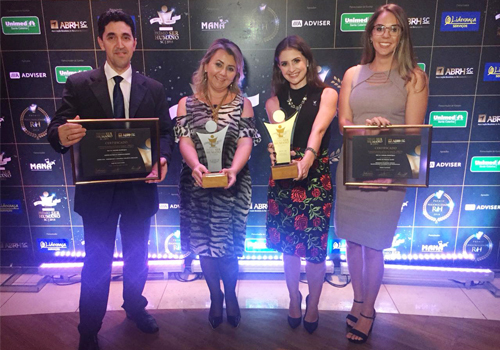 This is the case of the "Internship Growth Program", which recognized the employee Lislaine Apolinário as standing out in the "Youth" category. It is worth remembering that the two ZEN cases have already won the Santa Catarina Prize for Education and second place in the IEL Best Practice Internship Award, granted by the Federation of Industries of the State of Santa Catarina (FIESC). The "Youth" category highlights professionals up to 30 years’ old who work in the area of Human Resources. ZEN was awarded first place with the case "Internship Growth Program - Transforming Academics into Professionals", developed by Lislaine Apolinário from the HR sector. Before being promoted to analyst in 2018, the employee had a two-year internship in the company while she was a Psychology student. During this period, she developed the project that proposed improvements to the Internship Program, such as competency development and evaluation actions. The company's interns are between 18 and 27 years old and work in both of the technical and administrative areas. In total, ZEN hired 16 interns as full employees from 2015 to 2018. "Having the opportunity to be part of the program and in the meantime put my ideas into practice was primordial for me to acquire more knowledge and skills, develop my attitudes and evolve as a professional. Receiving the award values what we have built so far and inspires us to improve existing practices," says Lislaine. The "Lean Agent - Deploying Strategy Through Education" case was recognized in the "Development" category, as it prepares employees to work with a Lean thinking, a methodology focused on continuous improvement and elimination of waste. The classes are administered by qualified employees, valuing the internal talents and encouraging the exchange of knowledge within the company itself. Since 2013, more than 150 employees have graduated as Lean agents in the course, which has an average duration of four months. One of these collaborators is Joziel de Jesus Correa, responsible for the Lean Agent project. "The focus is on the development of people and the name Lean Agent was created so the employee can play a distinct role within ZEN, making employees aware of reducing waste at the factory. That is, this is a way for employees to work and become engaged in improving the quality, productivity, efficiency and vision of new possibilities," says Joziel.